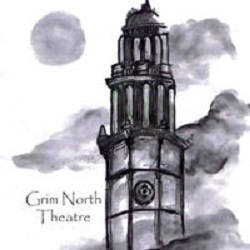 Grim North Theatre is a Halifax based community theatre company set up early 2008, comprised of young people working to create a different theatrical experience. By integrating traditional theatre with popular forms in contemporary youth culture (cinematic elements, popular music) they hope to open up a new audience to the medium. Their stories contain thought-provoking themes and employ experimental techniques in both performance and rehearsal. They are running a series of eight workshops, each focusing on a specific theatre skill. All the sessions as detailed below run on Wednesdays from 7pm to 9pm at Whiteley’s Academy Of Performing Arts, 6-8 Akroyd Place, Halifax HX1 1YH. Sessions are £5 or £30 for all 8 sessions. In these sessions you will explore different aspects of performance through exercises, exploration and creative group work. All sessions will be physical so please wear appropriate clothing that allows free movement.